Imagine a California where springtime temperatures are 7F warmer than they are today, where snowmelt runoff comes 50 days earlier and the average snowpack is just 36 percent of the 1981–2000 average. That may be the reality by the end of the century if we don’t curb greenhouse gas emissions, say researchers from the University of California, Los Angeles. 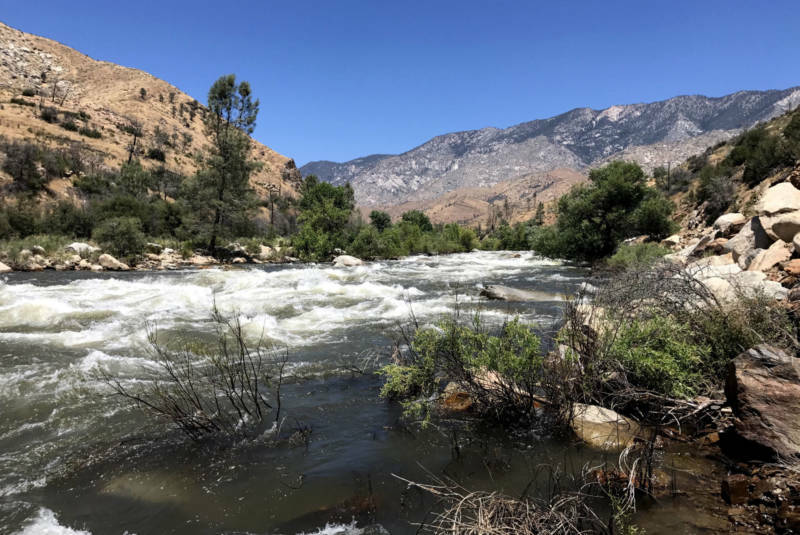 A recent report from the UCLA Center for Climate Science analyzes how climate change will impact the Sierra Nevada and what that will mean for water resources. In particular the research examines changes to temperature, the amount of snowpack and the timing of runoff and which elevations and watersheds will be most affected as the climate warms. It also compares how these factors may change with “business as usual” and do little to curb greenhouse gas emissions, versus a scenario in which greenhouse gas emissions begin to level off around 2050. 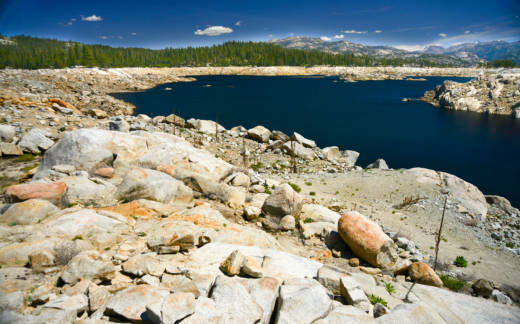 Water Deeply spoke with one of the report’s coauthors, Neil Berg, associate director of science at the UCLA Center for Climate Science and the Institute of the Environment and Sustainability, to discuss the findings and their implication for Californians. Water Deeply: What prompted this report? Neil Berg: If you look at a place like California, the global climate models really don’t capture the fine-scale topography and regional characteristics that we know shape our weather and climate around us. So we embarked on two studies, and they used a process called downscaling, which translates global models to a finer resolution. We took about a year, maybe 18 months, to do all the modeling, and it’s run on numerous supercomputers, both at UCLA and other national laboratories. And then we got to work analyzing the huge amounts of data and thinking through the most interesting variables and questions related to climate impacts for Californians. That included, how was snowpack changing? How was runoff changing? And how was temperature changing behind each of those? Water Deeply: What did you find? If you look at the entire Sierra Nevada, if we don’t curb our climate emissions, so if we stay on the business as usual pathway, we would expect a 7F rise in springtime temperature. But if we do take some significant action to reduce our greenhouse gas emissions, that amount of change could be nearly cut in half. So, somewhere around 3–4F of warming by the spring, and this is for the end of the century, so from roughly 2080 to 2100. Water Deeply: Your study found that the middle elevations, around 5,000–8,000ft, are the most vulnerable as temperatures warm. Why? Berg: Those middle elevations tend to be located where that freezing line, that 32F line, lies within the Sierra Nevada mountains. So even small changes in temperature – 1 degree, 2 degrees, 3 degrees – increase significantly the type of precipitation that falls in those mid elevations from frozen to liquid. The highest elevations, above 8,000ft, are so high that they in many cases remain sheltered from even a significant amount of warming in the future. And then there’s this really interesting thing called the snow albedo feedback, which is a cyclical process where you start out with some snow at these mid elevations and you have some future warming that melts away part of that snow, or just more rain instead of snow falls, and that exposes a darker underlying surface, either vegetation or bare soils. And they have a lower reflectivity or albedo of sunlight, so it’s absorbing more incoming sunlight which further warms the ground and the surrounding air, which further shrinks the snowpack, which further exposes more land, further shrinking snowpack, and so forth. Those mid elevations are most sensitive to changes in temperature and then it kicks off this snow albedo feedback in those elevation bands. Water Deeply: Snowpack in those middle elevation areas is really crucial to the state’s water supply, right? Berg: Yes, it’s a critical area for water resources across the state. In my opinion this was one of the more dramatic and alarming findings that was produced from this paper. Water Deeply: Most of this research focused on projections of future impacts from warming, but you have also done research about what’s been happening already. What did you find there? Berg: There was a companion study that I authored a couple of years ago, and this was during the 2011–15 drought, looking at what the snowpack in the Sierra would be in the absence of any existing or observed warming over California. And using advanced modeling tools we were able to simulate a hypothetical natural world over that drought period and we found that in the absence of observed warming, which was on the level of 1–2C [1.8–3.6F], right now, that snowpack in the Sierra would have been about 25 percent more during that drought period. It’s a pretty significant finding to say that in the last drought climate change removed a quarter of the snowpack in the Sierra. Water Deeply: So in other words, climate change is not something that’s only happening in the future. Berg: Oh definitely, the projected changes are dramatic and huge and really sobering, but to me it was surprising to see there was a huge impact happening right now. Water Deeply: What should water managers be taking away from your research? Berg: That the snowpack in the Sierra will not under any greenhouse gas emissions scenario be as full and healthy as it has been in the past, and to see that as an opportunity to rethink a snow-based water transport system across the state. I think water managers need to be looking at much more local water storage and capture and recycling. The resizing of reservoirs is an option, but that has to be weighed against the huge financial cost and ecological concerns. But I see an opportunity to not be so reliant on this water conveyance system, and particularly for these major urban areas like L.A. The limited amount of rain that we do get should be used to its maximum potential. If I was a water manager, I’d view this as a challenging opportunity, but a feasible opportunity to actually develop more local water solutions. Water Deeply: It seems like there is also a call to action in presenting these two different scenarios of what the world may hold if we work to curb greenhouse gas emissions and if we don’t. Berg: There is no question that the only way to avoid the worst outcomes is to reduce global greenhouse gas emissions. That has to be part of the dialogue, and if we don’t do anything on the mitigation then our adaptation becomes even harder. I don’t think there is any question that the need to reduce global emissions is an absolute necessity in order to avoid some of the most dire projections.